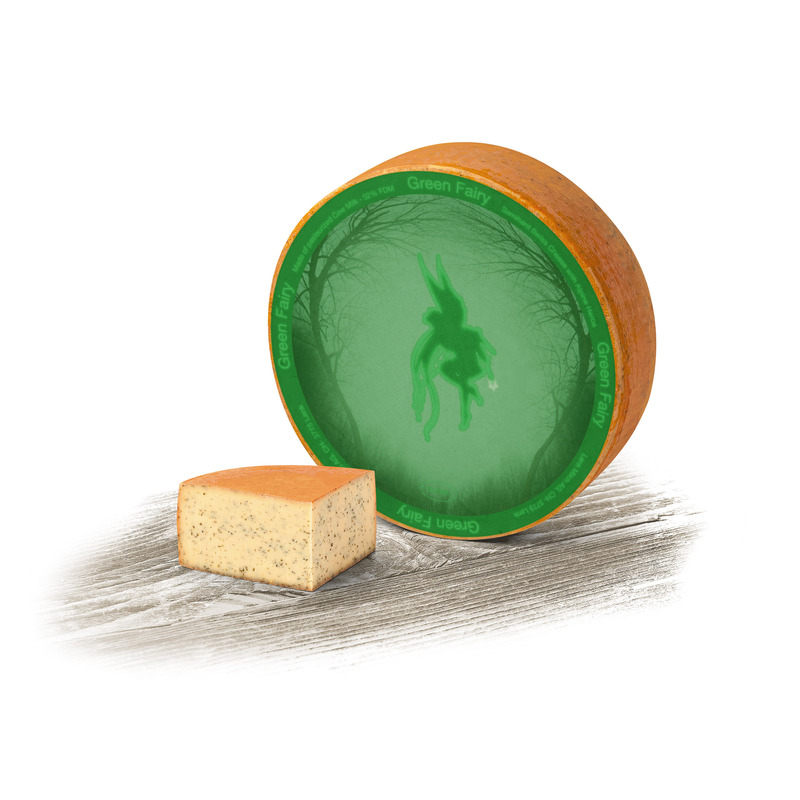 No, we won’t tell you that it is the fairy who puts the herbs into this cheese. But fairies actually are involved in the making process. From the outside, the Green Fairy might just look like so many other cheeses. Cut open though, the story drifts into a completely different direction. The hard paste is heavily spiked with tiny specks of herbs, lending it a lively green hue. The first bite reveals that the herbs are fresh - not dried - and of all different kinds. Nothing gets stuck in one’s teeth, but there is a breeze of fresh, green, herbaceous notes - even coolness - left on the palate at the very finish of this milky-creamy experience. Rare deliciousness. Application: A great table cheese, serve with rustic breads & crackers. Pairing: Try with Gruner Veltliner, or a hearty Belgian Pale Ale. 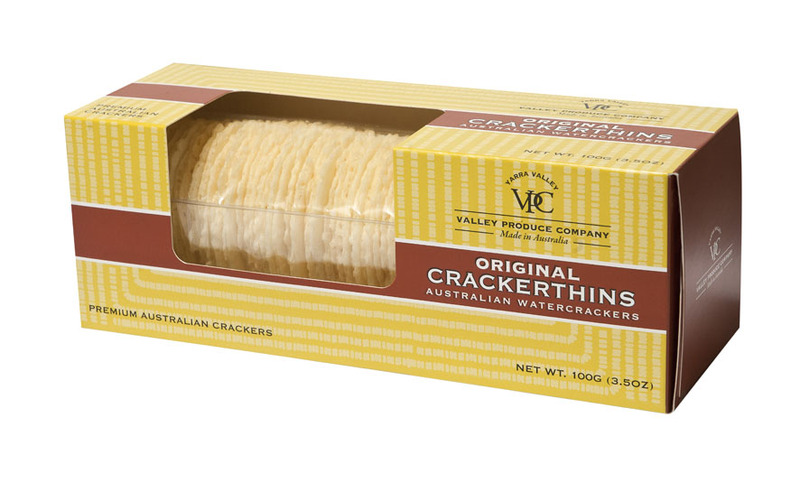 A premium water cracker with no added colors, flavors or preservatives available in a variety of flavors including: Original, Cracked Black Pepper and Tuscan Herb. A fantastic accompaniment with your favorite fine cheese, dip or VPC fruit pyramid! Valley Produce Company, is one of Australia’s most recognized and respected gourmet food companies. Their name derives from where a majority of their ingredients are cultivated, the Yarra Valley in Victoria, which is renowned as the most prestigious food and wine region in Australia. VPC specializes in a range of cheese accompaniments and condiments, particularly their Fruit Pyramids, Crackerthins, and Truffle Infused Honey. A staple in the Australian market VPC has expanded internationally to U.S.A., Canada, Hong Kong, England, Dubai, & New Zealand.